What would you be doing if you were able to visit this forest house right now? Would you watch the horse feed under the tress or sit and watch the water trickle by? 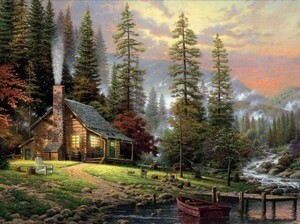 You could always sit on the dock and watch the pines sway or appreciate the smoke rising from the chimney.